This five and a half acre escape of lush tropical garden is situated only a few minutes drive from downtown Nassau. 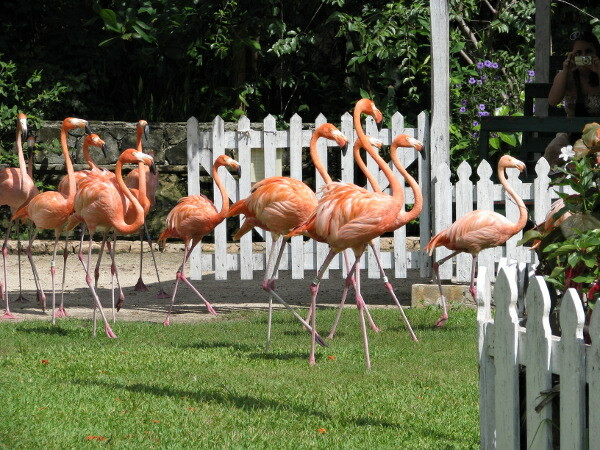 The Ardastra Gardens, Zoo & Conservation Centre is open daily from 9:00am to 5:00pm and features 3 daily special showings of the famous marching flamingos. Show times are: 10:30am, 2:00pm and 4:00pm. Around winding pathways, the informal gardens hold constant surprises - a cozy limestone bench in a secluded corner or the sight of a kingfisher that just flew in to enjoy the view. A footbridge over a pond where a swan mingles with Bahamian ducks and fresh water turtles, sun on the shore, overlooked by archways of shrubs and exotic plant life. Created by Jamaican horticulturist Hedley Edwards, who later brought the flamingos from the southern Bahamas as a contrast to the greenery, the gardens have matured into a contemplative setting bursting with colour. The gardens are always changing, but with a sense of a time past when the pace of life was slower and there was time to enjoy the stillness, the tranquillity, to marvel at the gnarled vines climbing a 40ft mahogany tree, to watch a bird peck or just collect your thoughts and restore your spirit. 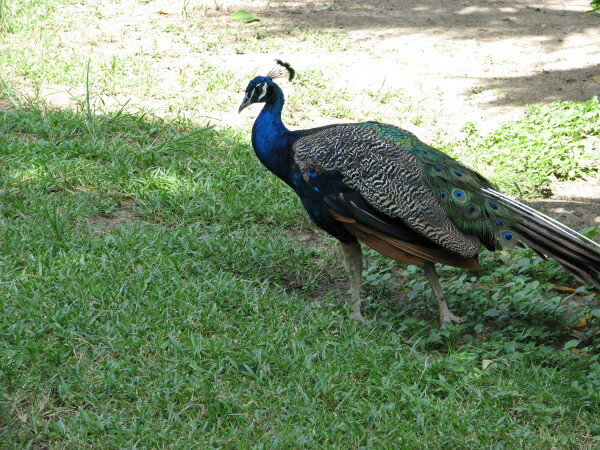 With over five acres of lush tropical gardens, the Ardastra Gardens & Zoo also features over 300 exotic animals. 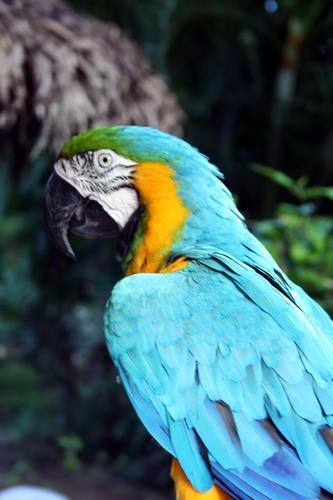 With over five acres of lush tropical gardens, the Ardastra Gardens & Zoo also features over 300 exotic animals. 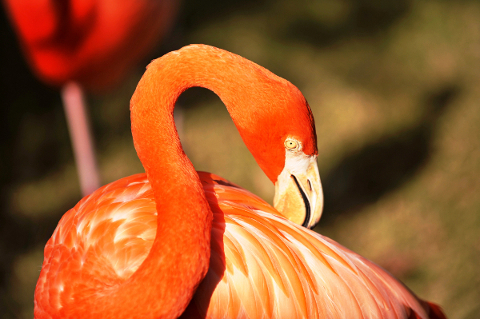 You will also get to see many animals indigineous to the Bahamas as well as the world famous Marching Flamingos.